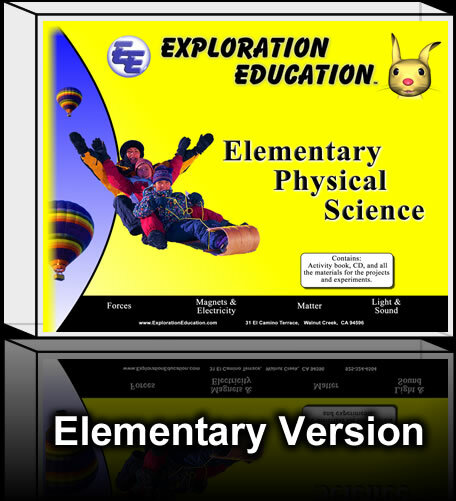 Designed for Kindergarten to 3rd grades, this course covers all of the standards and benchmarks set by the National Science Education Standards for Physical Science: kindergarten to third grade. 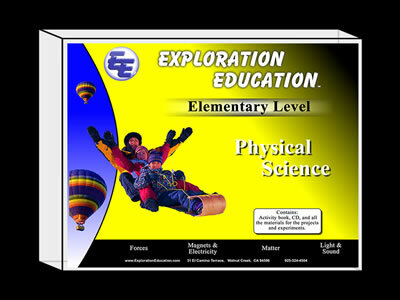 The hands-on nature of this curriculum not only gets students excited about the world around them, but also establishes a solid foundation for all future science courses.. The student begins each lesson using the CD watching and listening to an interactive definition of the word they are studying. Designed for one lesson each week, for thirty six weeks. 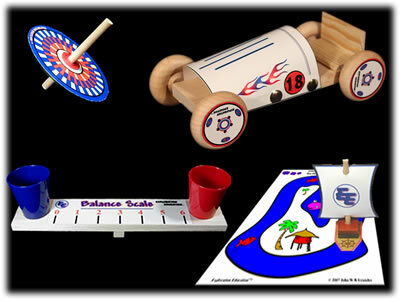 Each lesson includes an experiment or activity and takes between 30 and 40 minutes to completed. All lessons and directions are both written and narrated to facilitate learning for those students working on their reading skills. 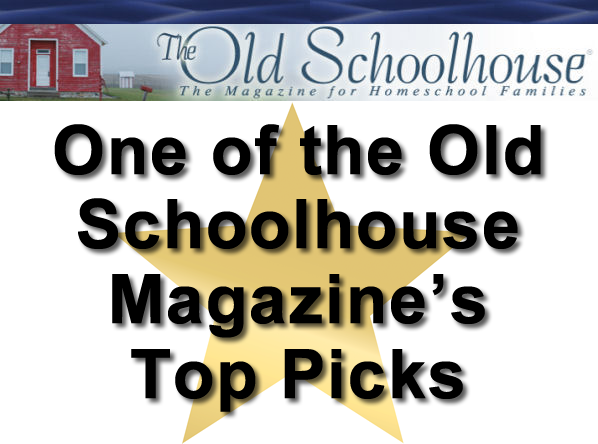 Click here for lesson samples. 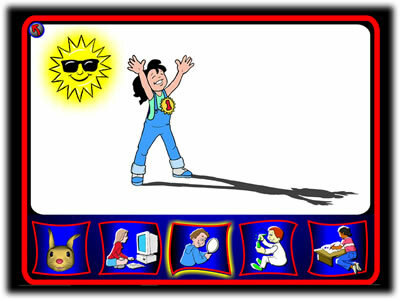 Each lesson is followed by an animated example. 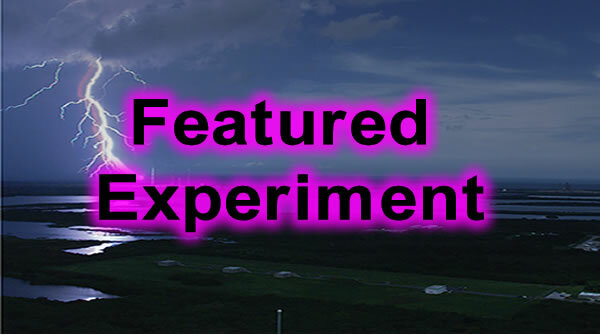 Students build projects and use them to conduct experiments, applying what they have learned during the lesson. The step-by-step pictorial instructions ensure success. The student finishes by completing an activity page to reinforce what they have learned. For sample pages, click here. These can be completed either the same day as the sections above, or they can be done on a separate day. 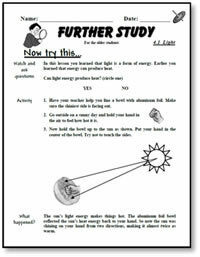 This two day approach can work well if you are using the “Further Studies” with an older student. 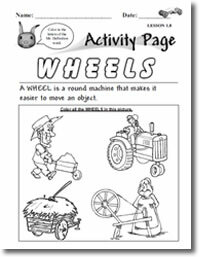 There are two activity pages for each lesson. 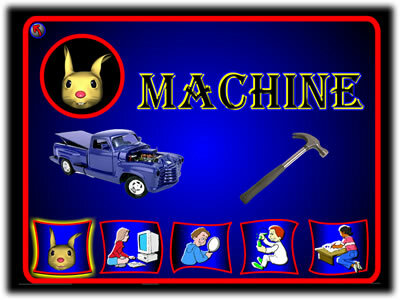 First page of each activity – basic review and reinforcement The first activity page in each lesson all age students can complete, however it is designed especially for the younger students (K-1st). It gives the student a simple review of what they have learned in that lesson. 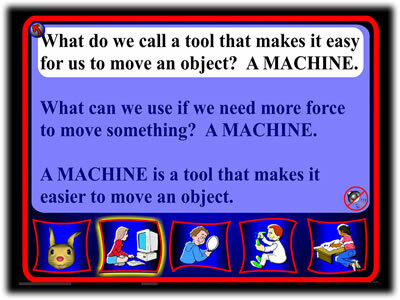 Second page of each activity – FURTHER STUDIES – digs deeper into that lesson’s scientific topic. The second page is specifically for the older students (2nd and 3rd) and is designed to have the teacher or parent work alongside the student. 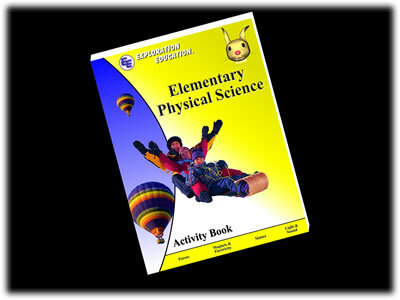 It is a more in-depth activity allowing the student not only to review what they learned in the lesson, but often introduces new science concepts as well. 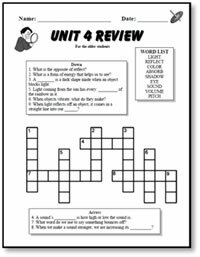 Unit Review – There is a unit review (four total) at the end of each unit covering the main vocabulary words studied in each lesson of that unit.